Olla Form South West Series. Terra Sigillata with overglaze of black pigment and chrome red. Oxidation firing in an electric kiln. Robin is the author of â��The Ceramic Spectrumâ��, â��Functional Potteryâ��, â��Staying Aliveâ��, â��Making Marksâ��, a new edition of Daniel Rhodes' "Clay and Glazes for the Potter", and his autobiography, â��Robin Hopper Ceramicsâ��, published by Krause Publications, U.S.A. 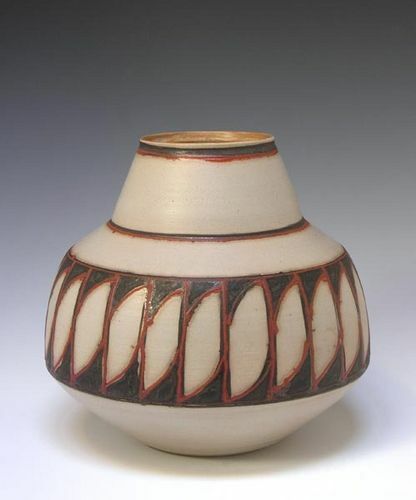 He has written many articles in major international ceramics publications. 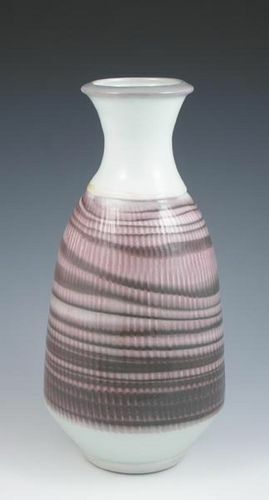 In 1993 Robin developed a series of six educational videos on ceramic decoration techniques titled â��Making Marksâ��. 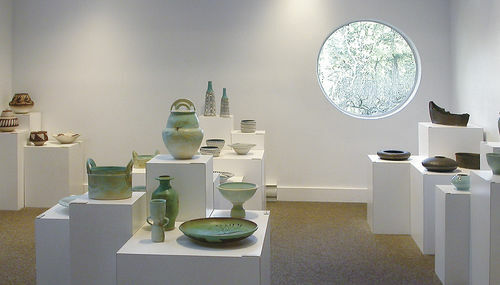 In late 1994, a second series of five videos on design and aesthetics titled â��Form and Functionâ��, based on the content of advanced wheel-thrown pottery techniques were made. Since then he has made â��Beginning to Throw on the Potter's Wheelâ��, and â��Advanced Throwingâ��. 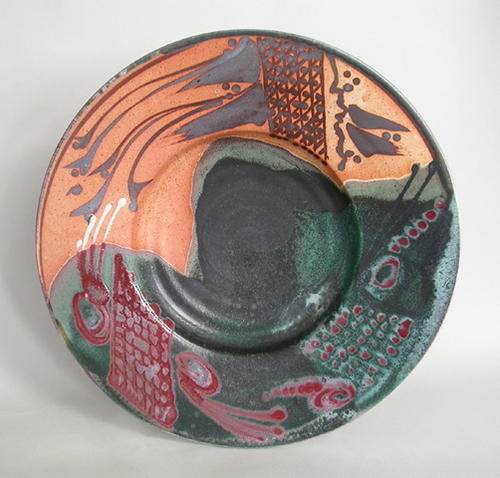 Robin Hopperâ��s work in ceramics over a 50 year period includes a great deal of ceramic historical and technical research, and an ongoing studio involvement with both functional production and one-of-a-kind art works, primarily in porcelain. Boribe Large Plate. Wheel thrown and decorated porcelain. 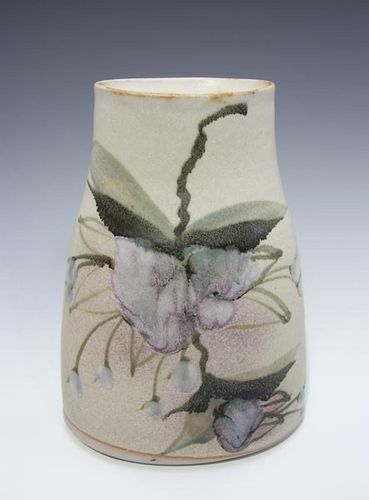 Wheel thrown and altered porcelain vase in the Clematis Series. High fired in a propane gas kiln in a reducing atmosphere. Wheel thrown coloured clay using copper as the colourant. High fired in a propane gas kiln in a reducing atmosphere.